We look up and around with expectation that others will lead us to social media enlightenment – but with a little confidence and co-ordination we can all have a role in helping others travel along the social media path. Never have I been to a conference where you’re greeted on arrival with a man-hug. That is, til now. This was no chauvinistic Aussie beer advert parody or motivational management craze – though possibly is the missing secret ingredient event planners worldwide have been craving…little did they know it was hidden in the heart of Edinburgh. I say hidden and I say Edinburgh. This wasn’t any conference and here wasn’t just any bloke: this was the ScotGovCamp unconference and the man concerned, Dan Slee, which given he must be about six foot three, hardly makes him hidden (or maybe he just stands out in the world of social media). And he’s based in the West Midlands. Founded on the Govcamp blueprint, ScotGovCamp aims to ‘get folk (in Scotland) who are interested in innovation and technology in government (and the public sector more widely) together in an informal setting to share their ideas’. I’ve followed Dan and, with Darren Caveney, his co-author and co-curator, comms2point0 for some time now. As a result of our blogging and commentary there’s also been frequent social chat. But seldom have Dan and I met. If nothing else, my visit to Edinburgh was worth it for that alone. But there was more, much more. If hunger for sharing and learning is a measure of success for an event then ScotGovCamp was a five-course meal that left me salivating for more. Mind you, I couldn’t hang around for the evening’s curry and chat which would have no doubt helped sate my appetite, in every sense. 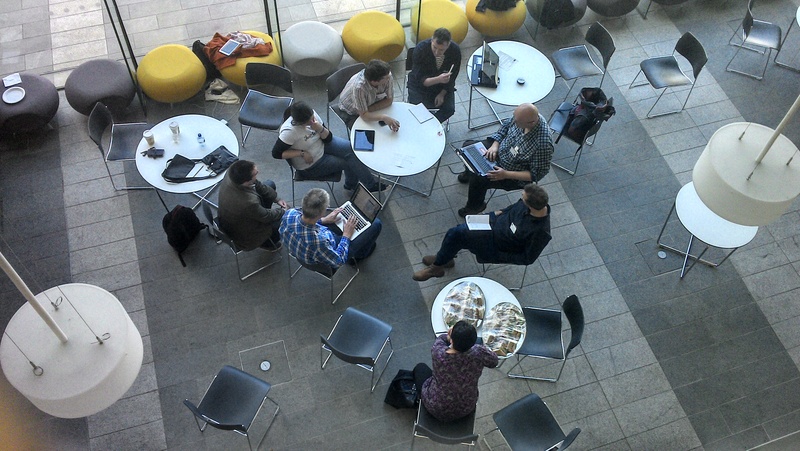 If you’re asking, what is an unconference (which my smartphone predictive text is on a train south from Dundee to London), it’s basically a conference without the normally imposed pre-set structure and lecturing. This of course shouldn’t ignore the wonderful skills of the organisers (an unconference still takes effort, resource and behind the scenes management) including Leah Lockhart, James Coltham, Lesley Thomson, Carolyne Mitchell, John Fox, sponsors and many others. People set their own topics, tone and temperament and chat it through. I can’t say this is how all unconferences are because this was my first (if interested, I’ve already started my next blog post to offer my interpretation of what an unconference is and how it works). Throughout, teas and coffees were laid on and lunch provided. And there was cake. No unconference it seems is complete without cake. Even more remarkable than Carolyne Mitchell’s scrumptious baking was the fact that the event this time round was free for participants to attend. Nothing to pay. Zero. Nil. Nada. Niet. Nowt. If you’re reading this and you missed out then I recommend next time, don’t. And not just because of the cost. There were five sessions during the day, each with a choice of four topics from which to choose, all proposed by people on the day or in advance through IdeaScale. Ones I attended covered digital co-creation and engagement, social partnerships, integrating social into events, remote participation and, finally, trust. Highlights included meeting people I socially connect with, some I’ve met before and others I haven’t, including John Fox who did a great job overseeing the @ScotGovCamp Twitter feed, Deborah Kilpatrick, Gordon Scobbie, Janette Mackie, Joe Halliwell, Jenny Foreman, Erlend Barclay and Kirsten Urquhart to name but a few. I arrived at the event with the opinion that the biggest public sector socmed challenge is finding how we can most effectively corral social media activity, to bring the story together to demonstrate the benefit in and value of developing ‘social’ public services. I left convinced this remains our challenge but also took with me lots of learning and food (for thought), and new connections too. My basic premise is this: people are actively living their lives through social media; sharing, projecting and talking about every facet of what affects them in open digital space. I’m one of them, to some extent at least. I also think that by public services ignoring social, there is a real risk of unintended consequence by at best perpetuating at worst exacerbating inequality. Essentially, those who are social are able to digitally engage more proficiently with others to help them become informed if they wish, while those who aren’t social, can’t. We already know that people attributed to lower socioeconomic demographics, particularly women, have least access to the internet. Getting social as part of a measured approach is then, quite simply, the right thing to do. The challenge is the evidence to support this logic will take time to harvest. How long remains to be seen. Digital isn’t just something I do when I find time. It’s blended into my day and night like a tartan woven through a kilt. That weave tells a story, not the whole story but part of it, about family history, modern and old; about historic clan allegiance, family weddings, football victories and losses, dances and galas. Relationships, love found, love lost, love discovered. So too might my digital footprint. If this is how people are living their lives then we have to change not everything we do, but in an informed, holistic and measured way, those parts that can make the biggest differences. The way I see it, if the public sector is to integrate social into services then that will most effectively be achieved through co-ordination and co-operation, such as joint procurement of measurement tools, for example. I’ve learnt myself from personal experience, mine and others’, through professional consultation and discussion, that what works for one organisation doesn’t necessarily work for another. It’s also true that social isn’t (just) about PR, HR or CSR. What everything boils down to is your brand values and, as I tweet on the day, your strategy, business plan and people. But not just people, trusting people and understanding them and their habits – your people, who you engage with, who you employ, who you strive to reach out to. All of them. Listening to what people have to say, and as raised by someone in the first session Leah Lockhart and I worked on together, regardless if that’s good or bad. Of course police forces across the UK are starting to get social but, anecdotally, it seems swathes of the public sector still aren’t, and they’re not the only ones. Small and medium business appear to be a similar position, and from my other interests I sense that’s also true for significant parts of the third sector. By my reckoning that’s a whopping big chunk of the workplace. That’s a worry. Which is why when Dan asked a group of us how long we thought it would take for social media to be proficiently relied on in the public sector in Scotland and for staff to be trusted with it, I replied with an estimation of 5-10 years before things even started to snowball. Other responses varied from 5-15 years, though I think one person did say that once the social light bulb has been switched on, change would happen at speed. My fear is that by then, it’s too late. How many lives will have been adversely affected by lack of opportunity to get engaged? Already I’m seeing peers who have been leading on, innovating and evolving social media shift their focus from just social media to begin to try to understand how it becomes integrated into not just a wider digital approach, but a universal approach to service delivery or redesign, for example. Or perhaps looking at predictive data, a new term about an approach which has seemingly been around for some time (I bow to Rob Stewart on this). How could data help identify students who are most likely to be in need of interventions to support them through their studies based on specific characteristics, such as class attendance, educational attainment and age, all correlated to specific life events? For my peers, social media is normalised. In Dan’s session, as Lorraine Spalding pointed out, we now need to normalise social media in general. Stop differentiating it which simply adds to people’s fear. I’m not saying there isn’t good work going on in Scotland. There is. Lots of it. What I want to know is, how do we collectively harness the power of that learning to normalise social media at a corporate level, and highlight the difference it can make to people’s lives at community level, now. Why would you ignore that? Leaders have a role to play. They need to do more than simply recognise social media – they need to embrace it. But it’s pure folly and naivety to expect them to do so by demand alone. Evidence, evidence, evidence. Start small then grow: let’s show the difference it is making and persuade and take them on that journey with us. Yes, that’s right, with US. You and me. You don’t need to be a General to lead and influence change. You can show others the path to social media success, but you can’t do it alone. Excellent post about an excellent event! 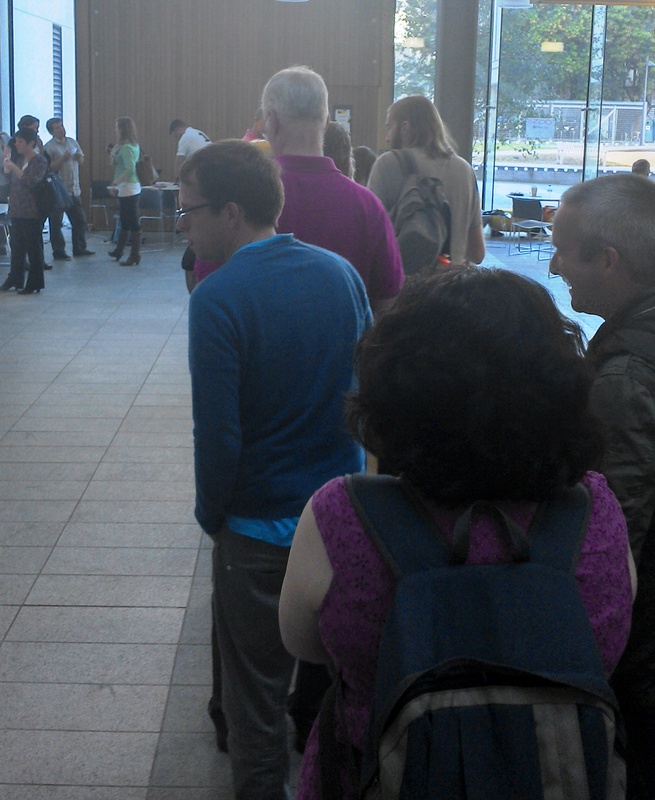 I wasn’t physically present, but managed to follow proceedings very well via Twitter and Bambuser. I even briefly managed to join in through Skype – unfortunately knocking John Popham’s connection out as a result. 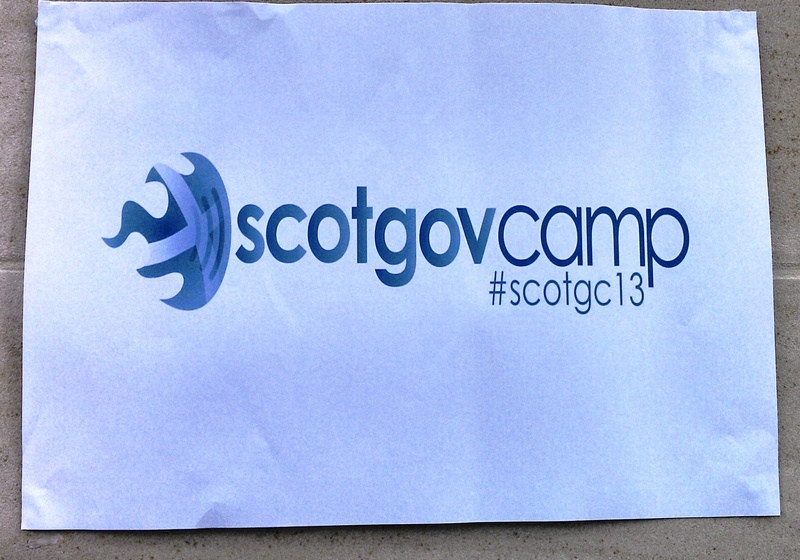 Well done everyone involved in making ScotGovCamp 13 such a success. Glad you like it Mark. It was a fun event, really glad I went along. I’m plotting another couple of ScotGovCamp-related posts, one of which will cover remote attendance including the amusing Skype incident to which you refer… infact, how about a co-authored post, or publishing separate but simultaneously-timed posts, to present both sides of remote attendance (from me, in physical attendance and you and possibly John, not), good and bad? Eek! I’ve only just spotted your reply. Yes, by all means if it’s not too late. Certainly not too late. I’ve not even looked at it to be honest. I’ll give it some thought over the next week or so and will be in touch to discuss!